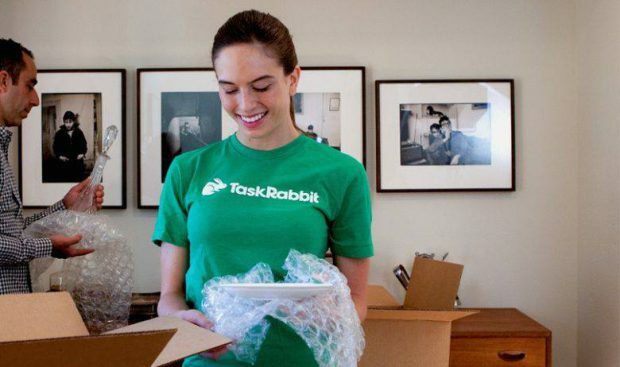 There is a new on-demand services app in town, TaskRabbit has quietly launched in Pittsburgh. The big news last week was that UberEATS launched in Pittsburgh. In addition to taking people from point A to point B, Uber now delivers food from a long list of restaurants to your house or other location. The Incline put together a list of 100+ restaurants that offer delivery from UberEATS in Pittsburgh. The Trib put together a nice article that compares all of the food delivery services that currently operate in Pittsburgh, UberEATS, Postmates, GrubHub, Wheel Deliver, & Happy Bellies. Task Rabbit is an app that helps customers hire taskers to help with all kinds of chores. I first learned about TaskRabbit during a visit to Los Angeles in 2011, but the company was founded back in 2008. TaskRabbit has made a few pivots to their business model over the years, but many have been asking when TaskRabbit would be available in Pittsburgh. I was just talking with a friend about how Pittsburgh is lacking in on-demand movers. There have been many treasures that I have left behind at Construction Junction because I didn’t have anyone to help me move them. There is an app, Lugg, that offers on-demand moving, but it is not yet available in Pittsburgh. Earlier this week a thread appeared on the Pittsburgh sub-reddit asking if anyone uses Task Rabbit around Pittsburgh. I decided to do some research to see if Task Rabbit was really live in Pittsburgh. A quick Google search and there has been no formal announcement about a Pittsburgh launch. The Twitter handle @KathrynKellyPR replied to some older tweets that TaskRabbit launched in Pittsburgh on April 28, 2017. @postmodern101 @TaskRabbit Dave your wish is fulfilled! @TaskRabbit launched yesterday in Pittsburgh. Good luck! So I thought I would signup and see if TaskRabbit is really now live in Pittsburgh. I posted a task and there are a few taskers in Pittsburgh who are available for hire. Photo credit: TaskRabbit Facebook Page. But if you start typing many more task types are available (it is not really clear that you can type something in the box and that you don’t have to suggest one of the default tasks). You can see a list of types of tasks on the TaskRabbit support page, taskers can help everything from arts & crafts to waiting in line. Some tasks are limited by location so I am not sure what is and is not available in Pittsburgh yet. From the few tasks I posted rates are $26-$38 per hour, per tasker. All taskers have been vetted by Task Rabbit and have passed a background check. With most of these on-demand platforms, there are always some sort of disasters. Much has been written about AirB&B issues. This Medium post from 2015, Living and Dying on Airbnb, definitely raised some issues about renting a place to stay that I had not thought of before. When I tried to use Postmates to order lunch from Piper’s Pub on Saint Patrick’s Day. When I couldn’t find Piper’s listed on the Postmates app, I had to take an old fashioned approach and use the phone to place the order. The folks at Piper’s Pub explained that they had some bad experience with Postmates and that I would have to come pick up the food myself. I wanted to see if there were any horror stories online about hiring a tasker. The first three pages of Google results were all tasker horror stories and most of them are pretty funny. I did find a blog, The Traveling Rabbit, about a women who quit her job and traveled around working as tasker. There is a post on the TaskRabbit blog about partnering with the White House on disaster response from 2014. I am not sure if that program is still active, but I am impressed to see a partnership like that as early as 2014. I also found this hilarious article from the Chicago Tribune, 10 random things Cubs fans hired someone to do on TaskRabbit. I am now looking forward to seeing how Steelers fans will utilize this service. Every task booked on Task Rabbit is backed by $1 million dollar insurance and the Task Rabbit Happiness Pledge, which is quite extensive. There are plenty of posts from the taskers about difficult tasks or how it can be difficult to make money, similar concerns that have been echoed from those who work as Uber divers and deliver for Postmates. While there are a lot of good things, less drinking and driving, that these gig economy has brought to Pittsburgh it is not without some downsides. Here are a few articles that offer some information about TaskRabbit and other on-demand businesses. Interesting timing that the most recent issue of The New Yorker digs into the subject of the gig economy. 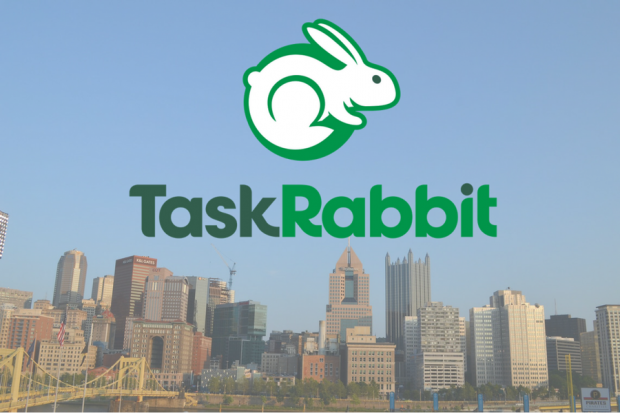 Interested in hiring a TaskRabbit in Pittsburgh? If you want to try Task Rabbit, you can sign up with this link to get a $20 credit on your first task. When Lyft first launched in Pittsburgh back in 2014, I wanted to learn more about how it worked. I was looking for a job, but I was curious how the process worked, so I signed up as a driver. So to fully research the Task Rabbit experience I have applied to be a taskers. Fill out a quick form with contact information. Pay a $20 nonrefundable registration processing fee, which does not guarantee I will be hired. Submit and wait for a reply from Task Rabbit. I will let you know if I make the cut to become a tasker. Have you used TaskRabbit before in other cities? What was your experience? Have you worked as a tasker before? If you give TaskRabbit a try here in Pittsburgh, let us know how it goes.